The Numberology event has ended, which means the Ascension Eyes by IKON are moving home to the mainstore where they'll be joined by 14 new colors (shown above). They're gorgeous! While you're there, don't forget to join the IKON VIP group. A free pair of eyes is given away at the first of the month, EVERY MONTH! 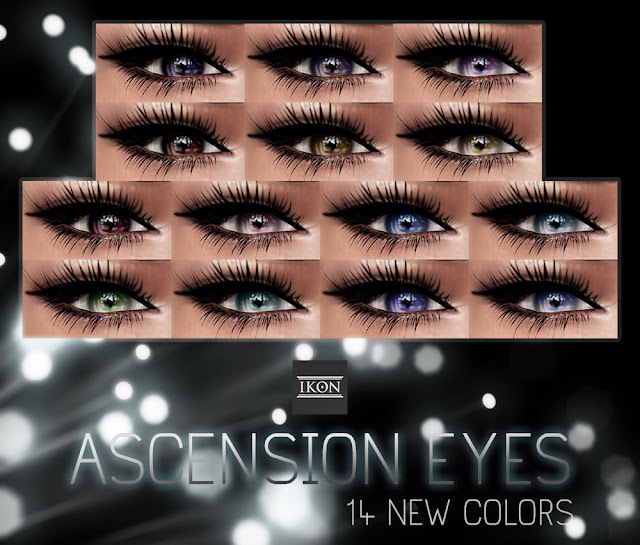 If you haven't tried IKON eyes before, this is a great opportunity to get started. Take care, and stay pretty!